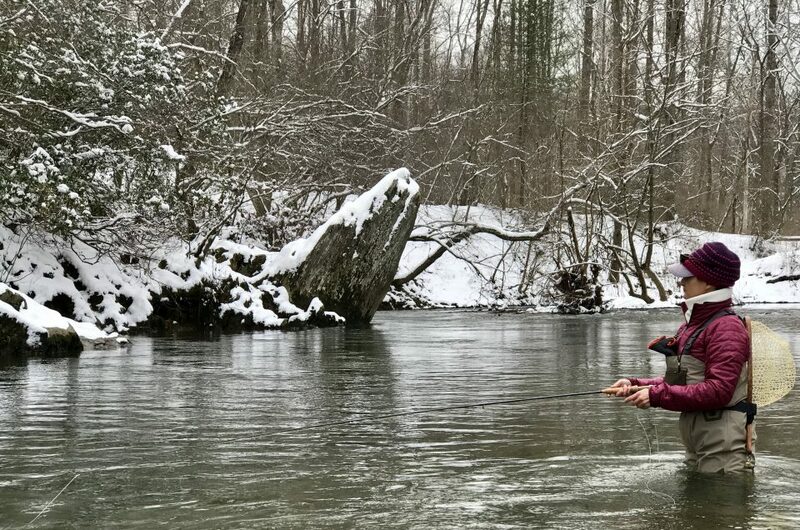 We love winter time fishing in Virginia. 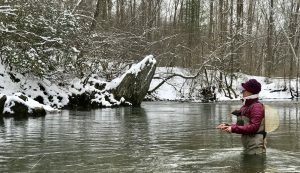 Fishing in Central Virginia during the winter is not only beautiful but very productive. Water levels have still been challenging. I have never seen this much rain and high water for such an extended period time. I am not going to complain about it though. This time last year we had very low water and most rivers were frozen from bank to bank. 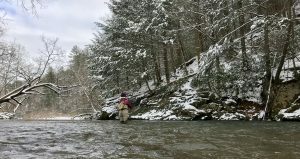 As a Virginia fishing guide or a fishing guide anywhere we all have to deal with the weather. 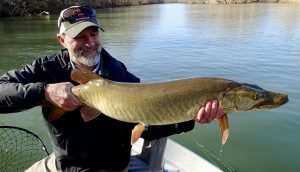 It seems like a lot of anglers stay inside during the winter months and miss out on some of the best fishing of the year. The most common thing we hear is ” it’s to cold”. I can’t argue that it is colder however with the right clothing it is very comfortable out there. 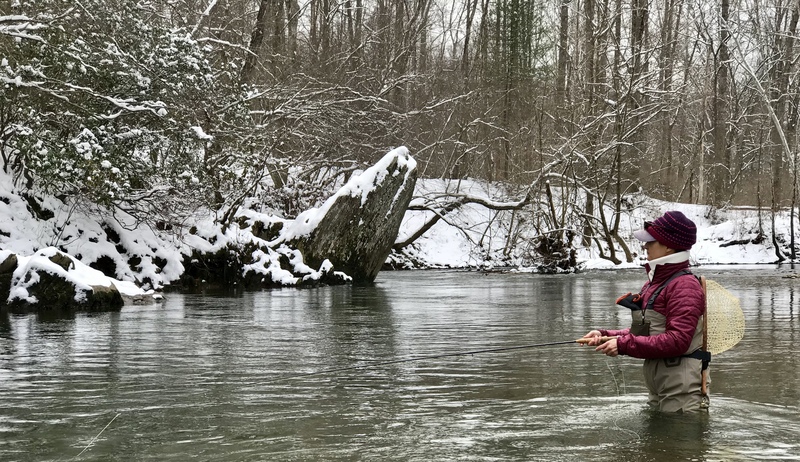 Trout are by far the most user/angler friendly species to catch in Virginia during the winter months however, October – May are the best months to target musky in Central Va. 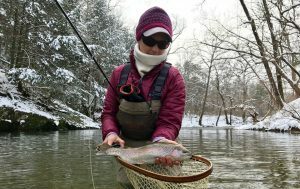 If you haven’t tried your luck during the winter months in Virginia I highly encourage you to give it a try. I think you will be happily surprised. 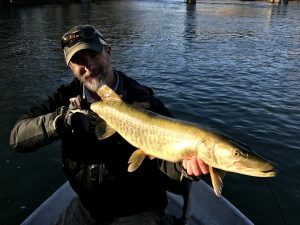 Not only with the fishing but how comfortable/warm you will actually be. The saying, there is no such thing as bad weather just bad gear. 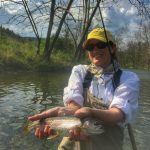 The Albemarle Angler has a full range of outdoor clothing, both for your tropical and arctic needs. Staying comfortable whether it’s staying warm in winter here in Virginia or any other state that might be a little chilly or staying cool and protected from the sun in the tropics. 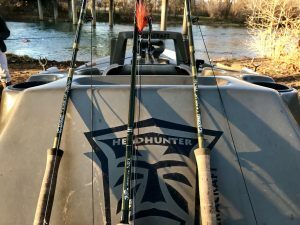 Your clothing is a very big factor in enjoying and having a great day on the water. 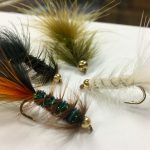 Please feel free to stop by the shop and let our experts show you some great options.